You will receive a confirmation email. You do not need to have read the book to participate in this discussion, just care about the growth and development of children. We look forward to seeing you there! Our full school music program is going so beautifully! I can hardly remember a smoother fall with all the classes, and that’s from 1996 till now! 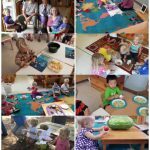 The toddler classes are following directions, using instruments correctly, doing movement activities, singing a bit on most songs–a huge development–and keeping a steady beat. 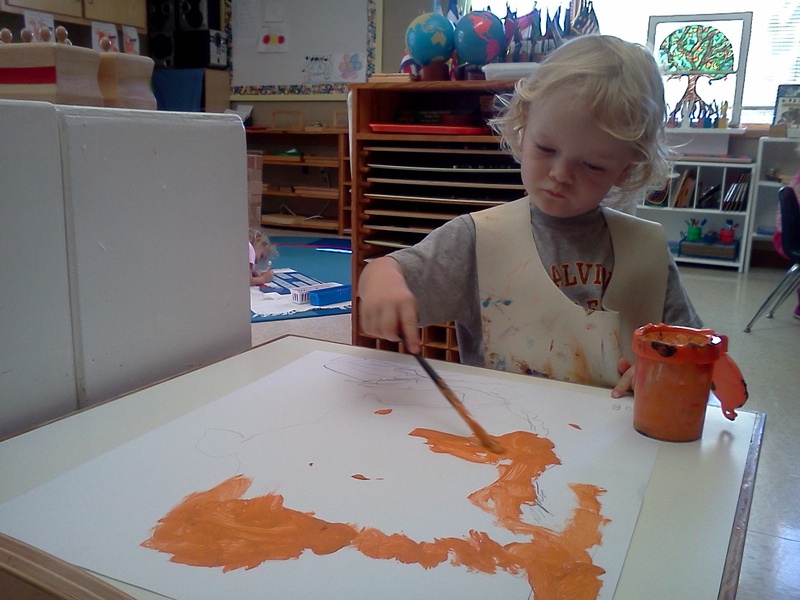 We’ve been doing body awareness activities, finger play, and rhythmic development. Every class is delightful! 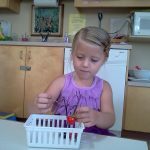 Preprimary classes are using sticks, bells, chickitas, and resonator bars. They’re singing with me on every song, mostly on pitch, which is a focus at their ages. We’re continuing rhythmic and vocal development, and doing many seasonal songs. I’m pleased with their progress. We divided kindergarteners into two music classes so everyone could sit across from me on the rug and see my glockenspiel. We’re learning high and low on the glock, and also reading the notes we’re using. After fall break the students surprised me by being ready to play melodies in addition to their usual steady beat on chord tones! That’s about 3 months ahead of time. Terrific progress! Lower elementary students are doing beautifully on their dulcimers, and love being able to play along as they’re singing! I’m so happy they’re enjoying that, and we’re busily adding more songs every week. Our new program, the upper elementary ukuleles, has proved to be hugely popular, and we’re moving very quickly now. The students tune their instruments with the digital tuner, I come in and check their tuning, and we’re ready to play new notes in under 5 minutes from the time I come into the room! We’ve learned some strumming techniques, the terminology and basic principles of string instruments, and all the notes and fingerings of the pentatonic and the C scales. We’ve chorded some songs and played all the melody notes of others. I’m extremely pleased with the various levels of musical development we’re able to learn through this instrument. You’re invited to visit music classes, and I welcome your questions and feedback. boiled eggs for Grandparents Day. We had fun on Grandparents Day. the food for Grandparents Day. 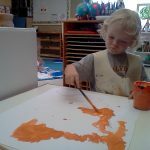 work in the Montessori environment. to parents for choosing us to be part of their lives. Have a safe October and Happy Halloween. 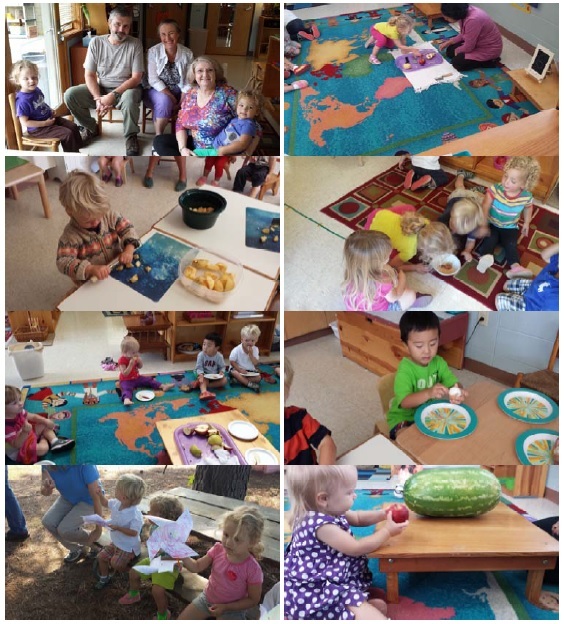 In September, we enjoyed tasting different kinds of apples such as Granny Smith, Red Delicious, and Golden Yellow. The kids learned the feel, smell and taste of the apples. They also had fun cooking with apples. Thank you for the parents who helped with the cooking class. This month, we celebrated the International Day of Peace by making pinwheels to decorate our playground and singing peace songs together. 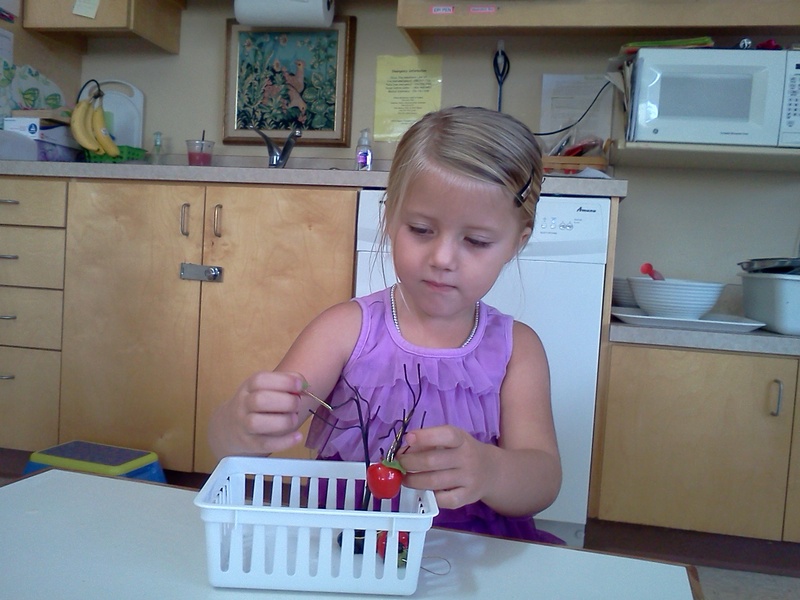 Also, in September we learned about spiders and the group they belong and made spider webs. 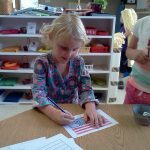 Our class enjoyed learning about the countries and animals of North America by painting the continent and its countries and coloring the flags. Grandparents Day was successful. Kids really worked hard practicing songs for that day and they performed well. Thank you to Julie Blauwkamp (room mom) for arranging the delicious food. 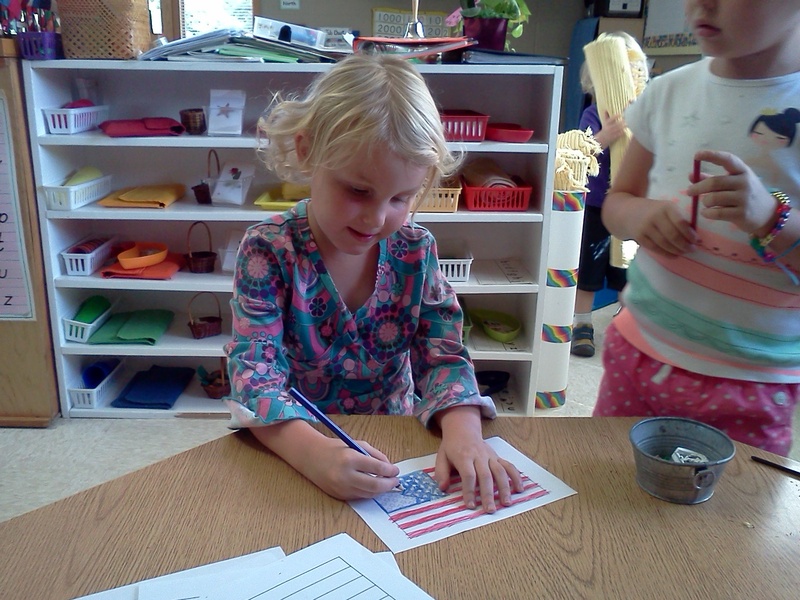 Thanks also to the parents who helped with the Grandparents Day craft. A big thank you to all the parents who donated to the classroom fund. October is going to be a fun month as well. We will be learning about nocturnal animals, pumpkins, and the continent of South America. Our field trip to Tate Farms Pumpkin Patch is scheduled for Tuesday, October 14th. 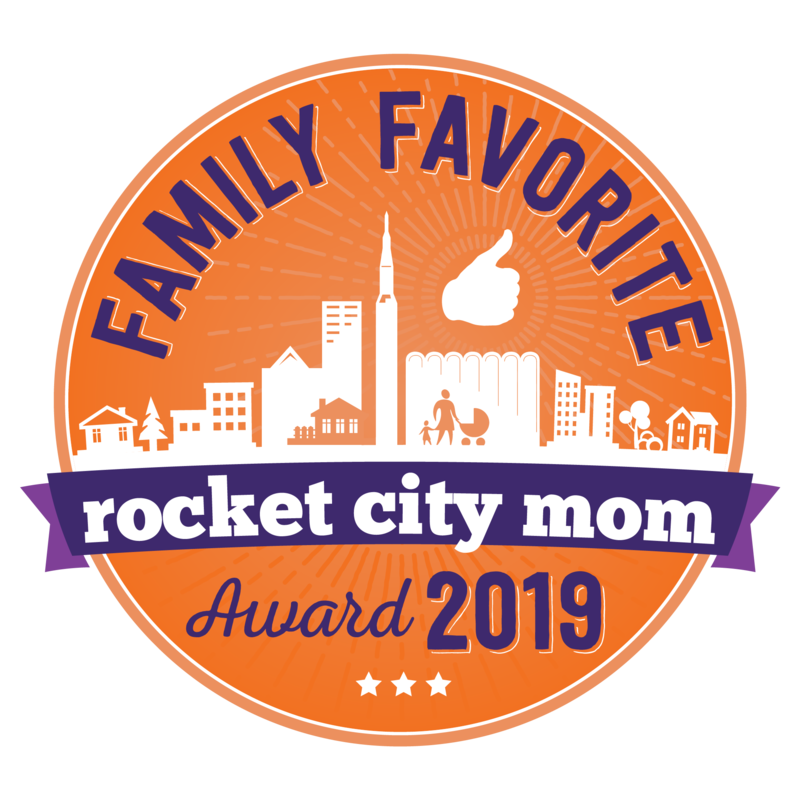 This should be a fun community event with all the Primary and Toddler classes attending at the same time. Student sharing night and conferences are also planned for the month of October. We have the fall festival coming on October 30th. We all are looking forward to another great month. We appreciate all the parents’ support.